A recent publication has some exciting news for Appley – some of the woodland in the park is older than we thought – a lot older. England’s first inventory of ancient woodland was initiated in 1981 by the Nature Conservancy Council. The first Ancient Woodland Inventory for the Isle of Wight was produced in 1987. This involved a detailed desk based study of historic maps and was informed by historical records and surveys. In 2012 the Isle of Wight Biodiversity Partnership commissioned a revised Ancient Woodland inventory for the Island, and this was completed in 2014. The whole of the Isle of Wight ancient woodland resource has been re-examined as part of this review. The results of the review show a total ancient woodland area of 1602.43 hectares – an increase of 8.04 hectares or 0.5% which is equivalent to 4.06% of the Isle of Wight area. This overall figure, although showing a small increase in ancient woodland cover, belies the changes to the extent of individual ancient woodland sites and the capture of many smaller ancient woodlands that are a direct result of this review. 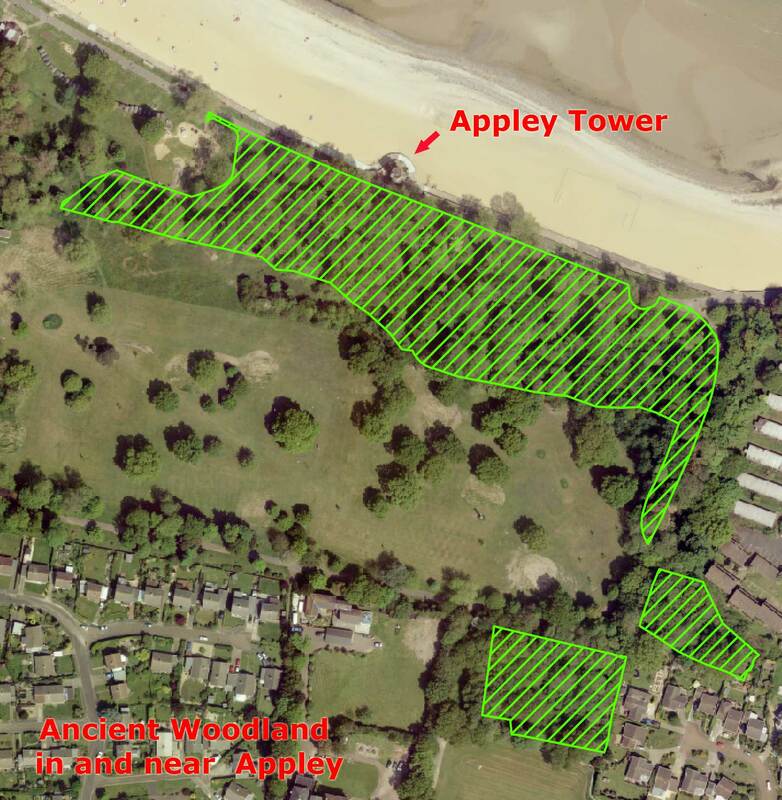 One of those areas is the strip of woodland at the front of Appley Park, behind the tower. This area is quite domesticated, but has an intriguing rich ground flora that suggests it might be part of an older woodland – now we have evidence that suggest is is indeed an ancient woodland.